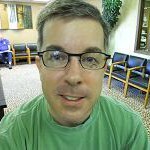 Many thanks to all of you who so kindly vote, opined and other wise sounded off on the correct choice for my new eye glasses in a blog post a while back. I thought it a silly, fun idea for a blog post and was very thrilled to see such interest. Clearly in the voting the gray frames were a HUGE fan favorite. And yet I was a fan of the black frames. I just thought I could see better out of them. 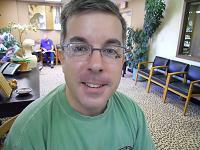 So the winner of the eyeglass vote was…. Turns out that the eyeglass place that I was going to buy these frames from would NOT accept my insurance so they expected me to shell out over $500 free and clear for these specs. 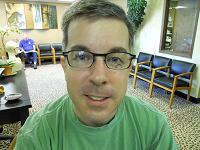 Since I have eyeglass coverage with my insurance – that seemed kinda stupid. Plus I’d have to wait a week to get them because I wanted anti-glare on the lenses (and of course pay more for that too). On the OTHER hand, it turns out Lenscrafters IS included in my insurance plan (saving me about 40%) and they could get me my glasses in 24 hours. So I went simple, basic and practical – everything the other glasses weren’t. Silver metal frames (oh, excuse me, titanium). The selection wasn’t as nice as the other place but I decided that I am at a time in my life where its more enjoyable to spend money like that on my family than on me or better yet save that money for later. Must have been a passing case of vanity…shame on me. 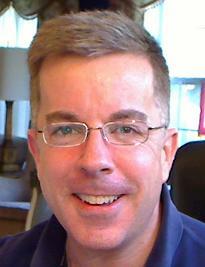 So when you see me out with my specs, for better or for worse, this is what you’ll see. 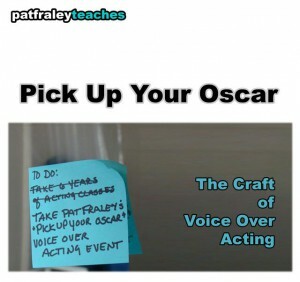 If you are an American voice actor in the Northeast or a Canadian voice actor in Ontario or even southern Quebec, I would encourage you to check out the seminar Pat Fraley has planned on September 26, 2010 in Buffalo, NY. 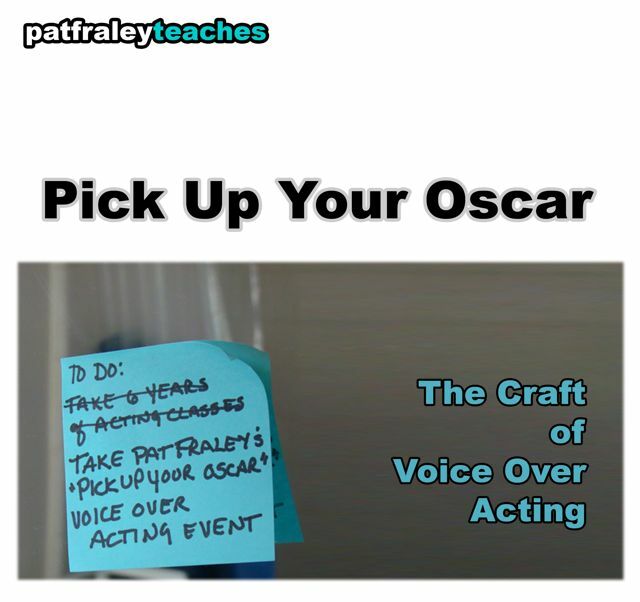 Called the “Pick Up Your Oscar” Event -The Craft of Voice Over Acting, Pat welcomes only 12 students (and many spots are already taken) for the event which is the “Only Acting System Created Specifically for Voice Over”. My friend, teacher and agent Toni Silveri from All Coast Talent is again hosting Pat and his seminars are can’t miss events. For more info, visit All Coast Talent. 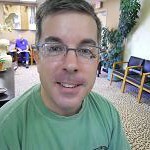 Here’s the thing – if you get Google Alerts or have an “ego search” in your blog reader, sometimes you can come across some very unique, odd, upsetting and just weird posts associated with your search. I get lots of news from Ireland (as you might expect with my last name) including a bizarre murder story there (very sad) and tons of rugby information. I know this because for the past several days I have been getting pings that highlight “o’connell” (which is one of my search terms) followed closely in these announcements by the word “naked” (which again to be clear is NOT one of my search terms). Evidently in this movie, Jerry O’Connell’s character’s man bits are shown getting eaten by a piranha. Which one of those images would you like erased from your brain first? Except the man bits are not Jerry O’Connell’s but some CGI handy work. I know that won’t fully help with the erasure but oh well. 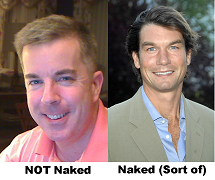 I have seen Jerry O’Connell in interviews and he seems like a very affable guy and I saw his lovely wife in an interview/parody on swimsuit models years ago in which she showed terrific comedic timing. So my thought is I’m fortunate to share some search with him as he doesn’t seem as wacked out as some of his peers may appear to be. But my other thought is I wonder if he checks his searches and wonders who or what the heck audio’connell is? Probably not. What about you…do get seaches back about famous people with your name? Can I write a snappy blog headline or what?! Sorry this won’t be a salacious as you may have been expecting but it’s still pretty cool because another airline has redone its logo (including repainting their planes). And what Virgin Atlantic created really looks a thousand times better, I think. Thanks to Brand New for the tip. By the way, ever see a plane get painted? It’s kinda cool. You’ll remember from my May 3rd post about the merger of United and Continental Airlines that I said there would be a new logo sooner rather than later based on the way the two companies slapped to together a logo combining United’s name and Continental’s font style and icon. How fitting that this post was published while flying back from Seattle…in the air, ON the plane. Airborne Wi-Fi, oh yeah! (It’s US Airways though, not United or Continental).